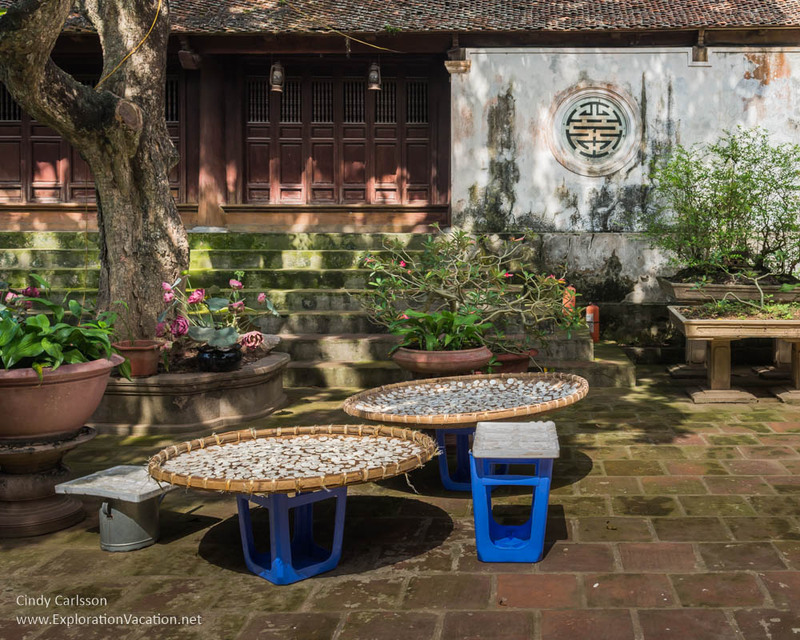 The traditional Vietnamese villages of Duong Lam, Vietnam, have many treasures hidden within their ancient walls, but the largest collection – both in number and physical size — reside within the quiet confines of Mia Pagoda. 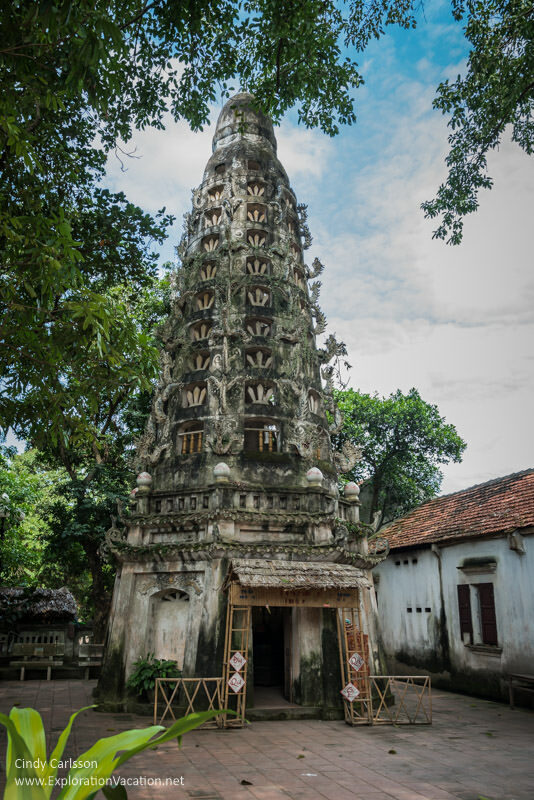 The pagoda’s elaborate tower peeking through ancient banyan trees should attract the attention of any visitor that wanders into the heart of this village. 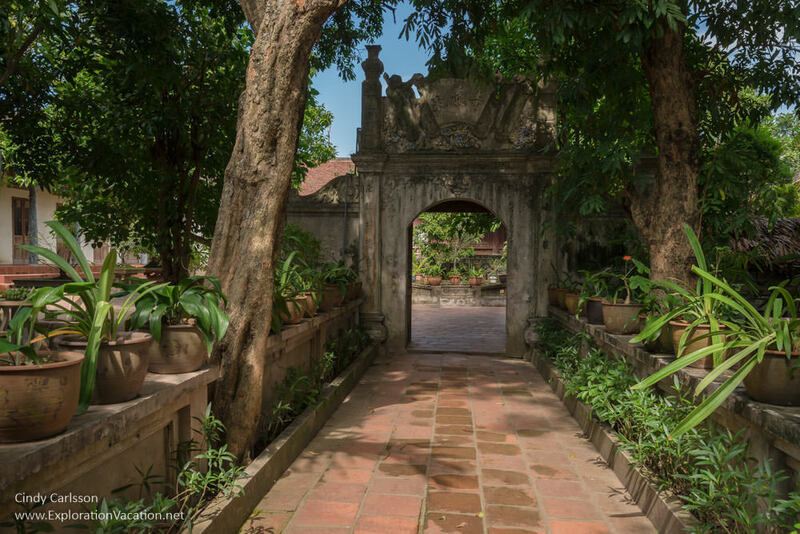 It would be easy to walk by thinking the tower is all there is to see here, but stepping through the first gate leads to shaded walkways and open courtyards where children play and crops are set out to dry. The main hall is located just a few steps above the courtyard. It is cool and dark inside; a large open room punctuated by ancient wooden posts with intricately carved beams overhead. It’s a serene space, but mysterious shapes beckon on the far side of the room. 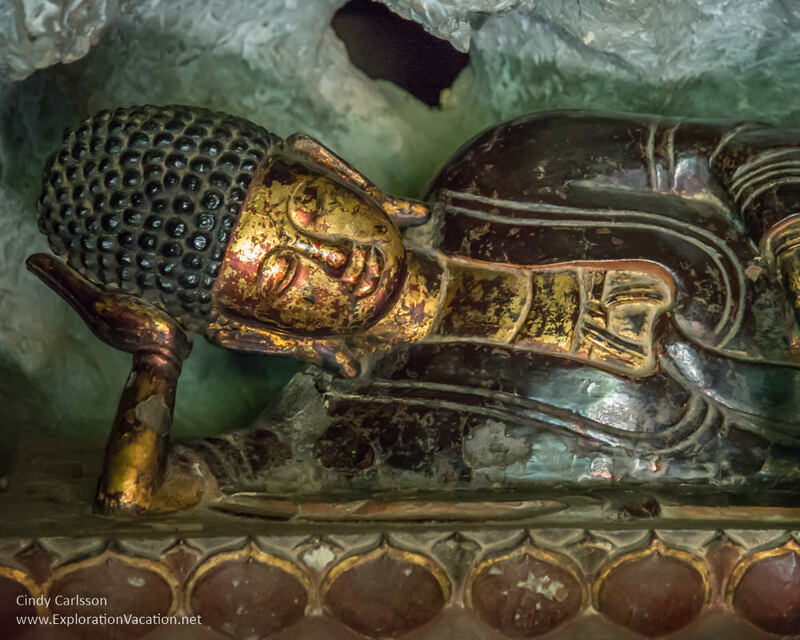 Soon we reach the pagoda’s main shrine where Mia Pagoda’s 287 sculptures begin to take form in the flickering light of a few candles. 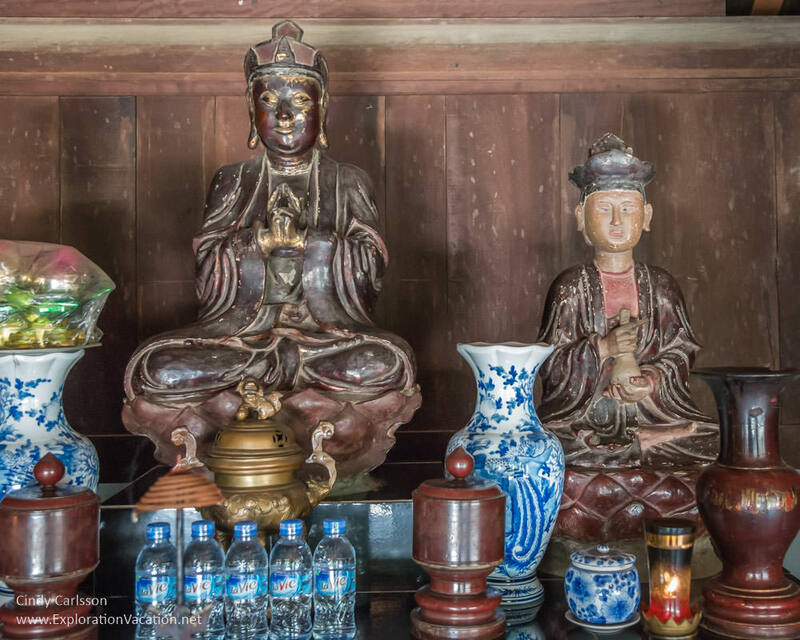 Vietnamese Buddhism is a complex mix of Buddhist traditions (the result of many centuries of intermixing between cultures) and I am largely mystified by the bewildering array of figures I meet here. 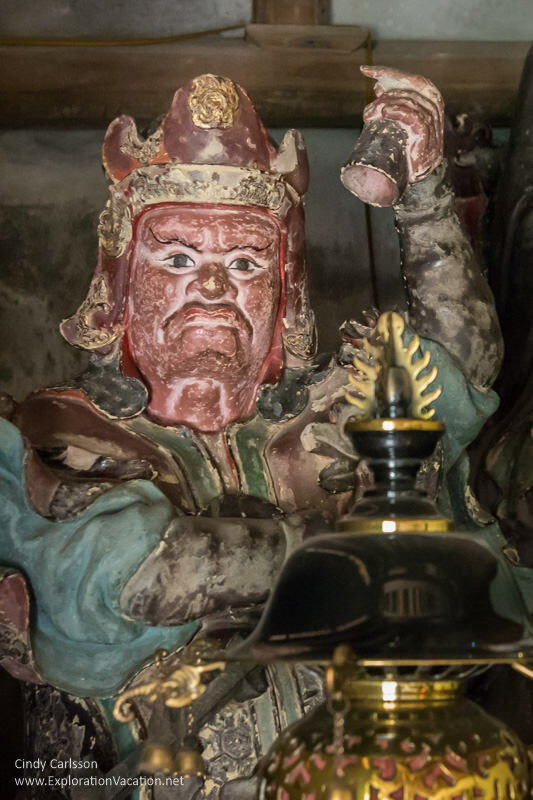 However, I think one of the figures that rise high above the piles of offerings is a Dharmapala, a figure who takes on a fearful appearance in order to protect the practice (Dharma) of Buddhism. There are other strange-seeming figures here too. 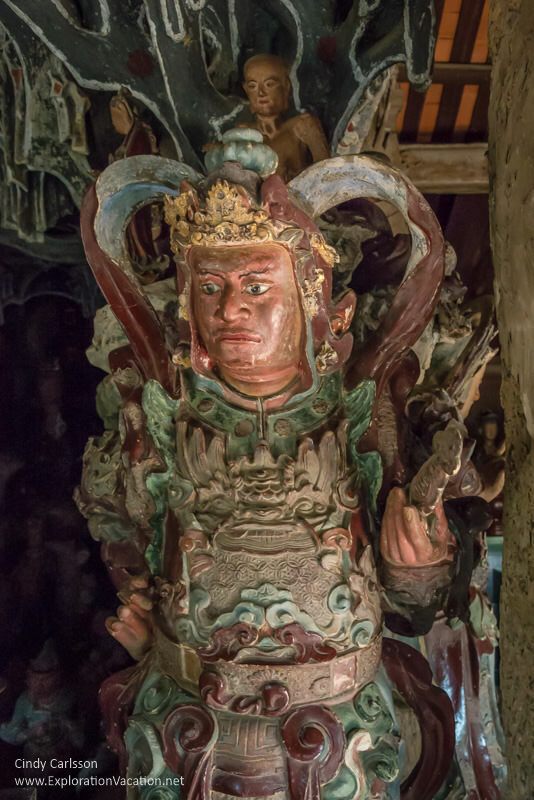 These include the various Vajrapani who serve as the guards and protectors of the Buddha himself. Many of these figures are life-size or larger and some look pretty fierce. 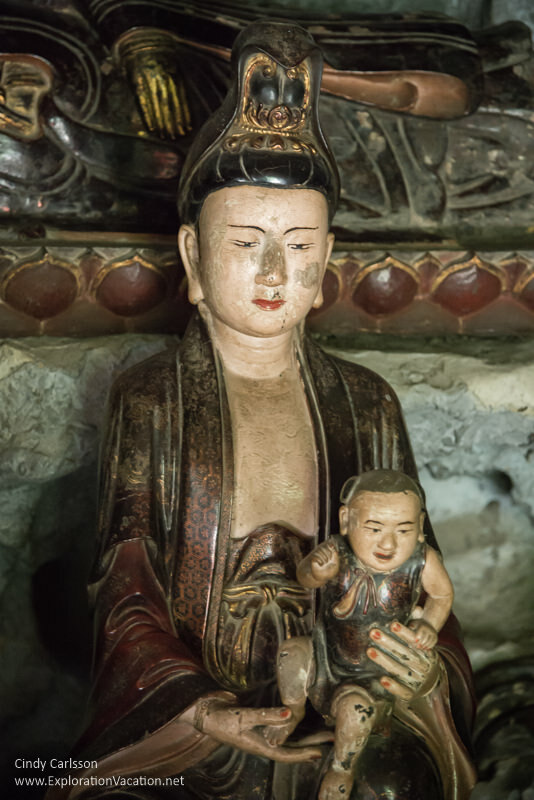 There are also very peaceful figures here, including a beautiful reclining Buddha and an Avalokitesvara Bodhisattva or Guan Yin figure (a particularly compassionate aspect of Buddha) in the form of a woman with a baby. Continuing on, another courtyard behind the shrine opens onto long rows of arhat statues. 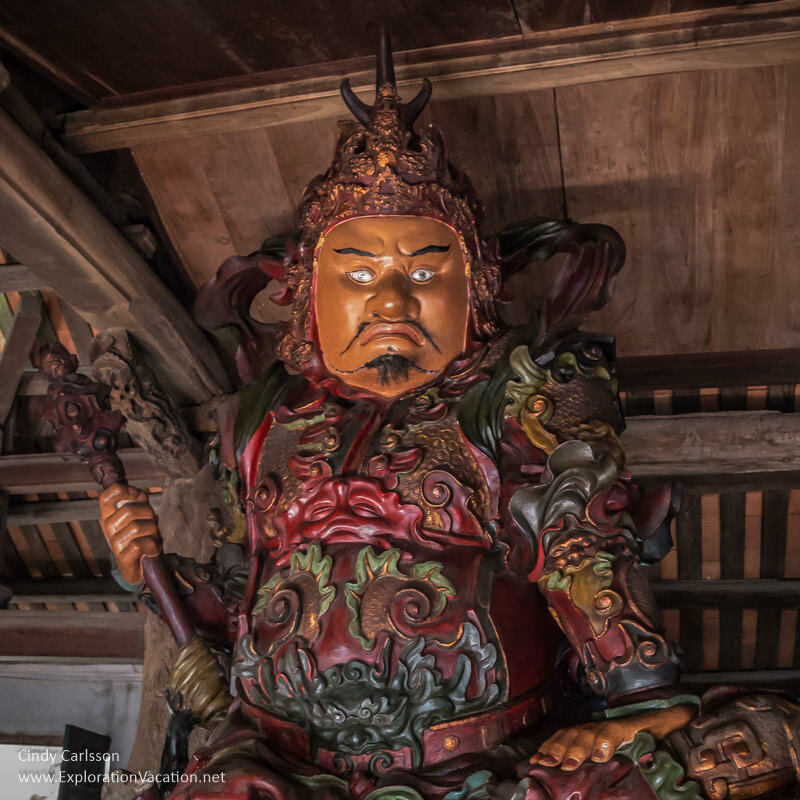 Traditionally there are 18 arhats (although the number seems to vary widely between different Buddhist traditions) representing the Buddha’s followers or disciples. 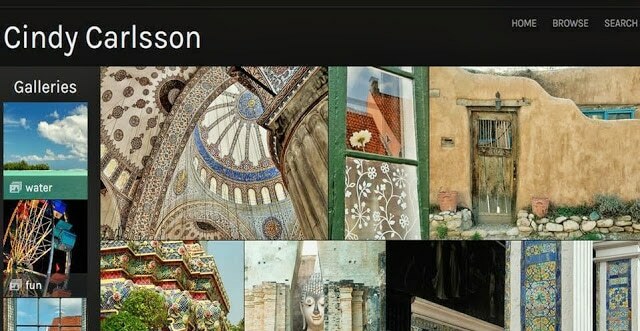 Like Christian saints, there is a specific set of features identified with each one, allowing Buddhists to identify each by his pose, hand position, and accompanying items, including various animals, an alms bowl, a pagoda, etc. I know I didn’t see all 287 figures at Mia Pagoda, but the number, variety, and artistry of those I did see was impressive. It would have been easy to spend more time in this world of larger than life figures. 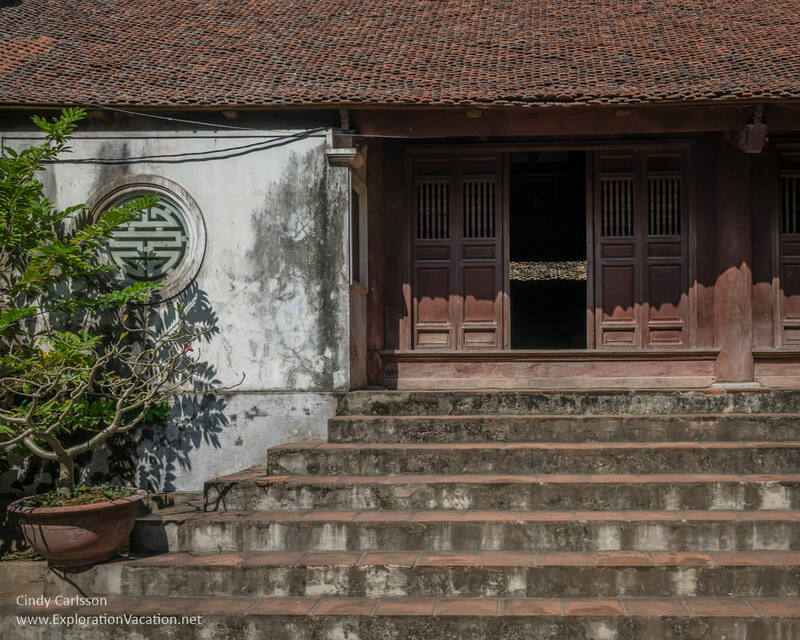 Mia Pagoda is located near the Mia market in the Dong San area of historic Duong Lam ancient village in Son Tay about an hour’s drive northwest of Hanoi. 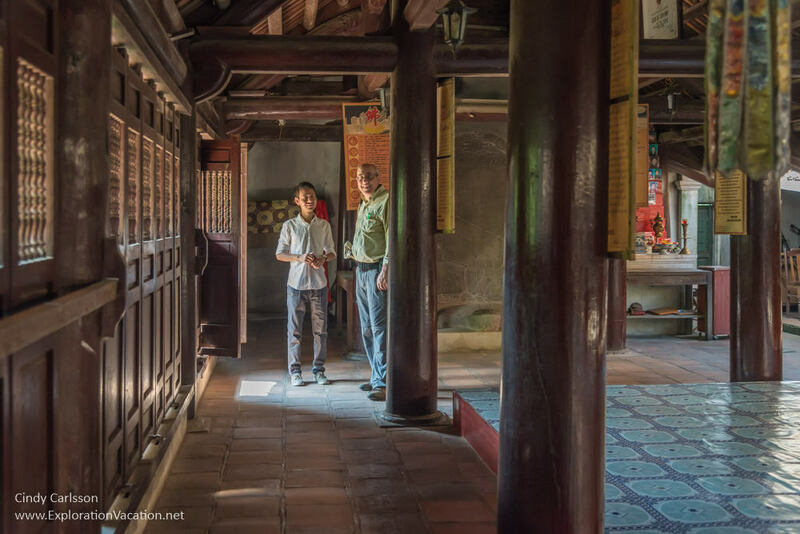 A visit to the pagoda is generally included in a day trip to Duong Lam. 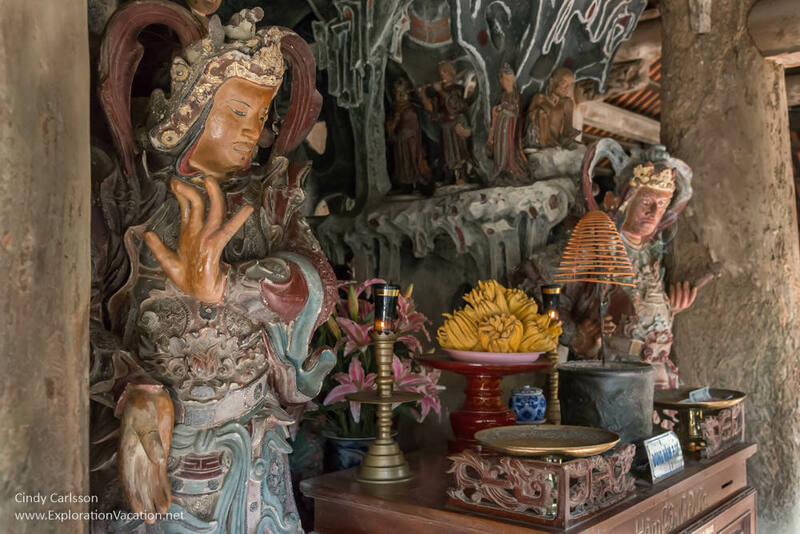 Mia Pagoda is both an important cultural site and a place of worship; visitors should be respectful and appropriately dressed.